This side dish is mostly carbohydrates thanks to the high amount of fiber in the vegetables. Pair it with a meal composed of protein and a little fat to make it balanced and stabilize your blood sugar. Lightly spray fennel wedges with cooking spray and season with salt and pepper. Roast in oven for 10 minutes. Flip wedges and roast an additional 10 minutes. 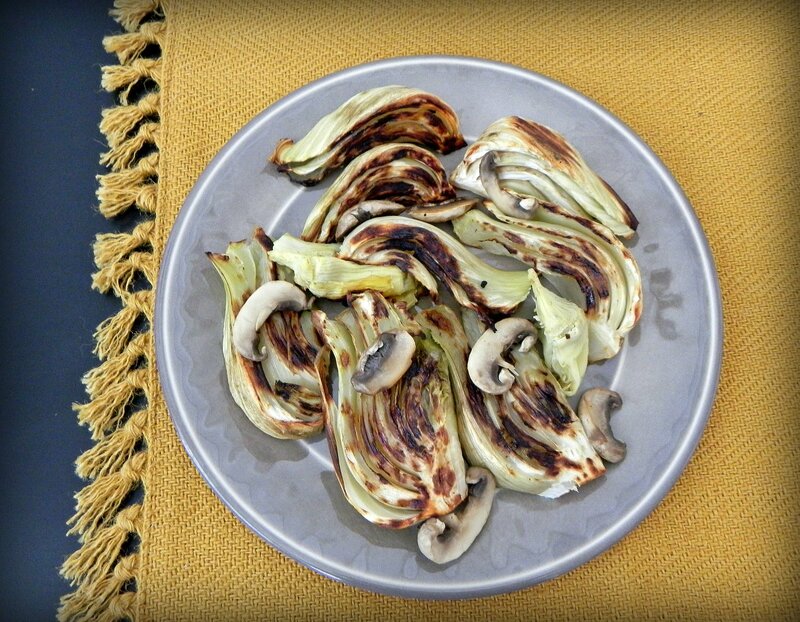 Remove from oven and add mushrooms and artichokes to pan. Lightly spray all vegetables with cooking spray and roast for an additional 10 minutes. Transfer to a serving platter and top with dried thyme.